As the major trade shows in Hong Kong and Bassel, Switzerland have indicated, buoyant dealer sales, strong retail activity and the anticipation of another solid auction season confirm the positive activity in the rare colored diamond market. The first quarter is usually a little quieter in the market but dealers have been positioning themselves to build up inventory in anticipation for the strong spring season, sales in major retail centers of New York and Hong Kong have exceeded expectations and the increased buying of diamonds during the Chinese New Year is slowly becoming another important component of the market, especially at the luxury end. As Forbes has recently reported, the growth of rare diamonds and jewelry as a passion investment has come to the forefront and is even slowly surpassing classic cars, one of the staples of the luxury market over the last decade. Their beauty, rarity, mystique and ability to offer a hedge against volatility in global markets as well as currency devaluation creates an appealing scenario for investors concerned about the current economic and political climate. Furthermore, their privacy and portability have become increasingly important components of more subtle values they offer to prospective buyers around the globe. In this issue, we will discuss the production declines at the Argyle mine and some trends at the rough level. We will also look into some of the trends at the jewelry level, discuss some important upcoming auctions and explain a little about the offerings at the Singapore Diamond Exchange. 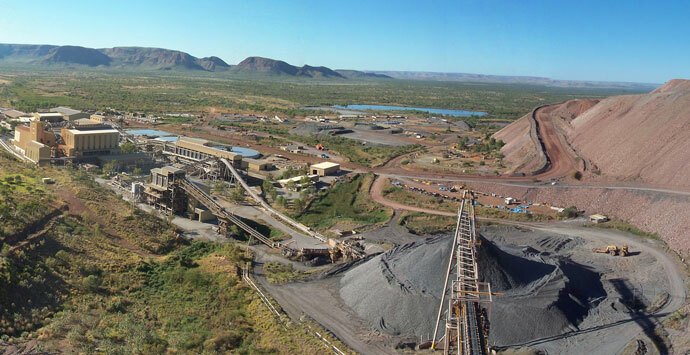 The asset’s ore reserves slumped 45% to 16 million tonnes at the end of 2017 versus a year earlier, the company said in a statement last week. That translates to 38.5 million recoverable carats, at a grade of 2.4 carats per tonne of ore. Reserves are the economically extractable material present in a mine, and are distinct from resources, which refer to all deposits. Rough diamond trading was robust in February, with De Beers notching $555 million in sales during the month. Prices remained strong, fueling concern among sightholders that their profit margins were tightening. “We had a good few months, and polished prices have increased. That has encouraged the mining companies to raise their rough prices,” a Mumbai-based supplier said at last week’s Hong Kong International Diamond, Gem & Pearl Show. Manufacturers are making money from old polished, but new supply is less profitable due to higher rough prices, he added. De Beers increased prices slightly, but also changed the assortments in boxes to include more high-value goods, resulting in a more expensive sale for sightholders, dealers explained. There was good demand for 1- to 2-carat rough, that yields 0.30- to 1-carat polished diamonds, for which there is steady interest from buyers, dealers noted in Hong Kong. De Beers boxes were selling at around 5% premiums on the secondary market during last week’s sight, slightly down from January, according to Bluedax, an online rough brokerage. Sales of jewelry, watches and other luxury items in Hong Kong rose in January, despite the Chinese New Year falling out a month later than last year, according to the municipality’s data authority. Tiffany’s sales jumped 9% in the fourth fiscal quarter, as US and Far East demand strengthened. Global revenue grew to $1.33 billion, the company said Friday. Sales increased 13% year on year to $320 million in the Asia-Pacific region for the three months ending January 31, while revenue in the Americas climbed 5% to $619 million. Bogliolo, who joined Tiffany last year, is aiming to revitalize the luxury brand in an attempt to make it more attractive to millennials. To that end, he outlined several strategic priorities on which it intends to focus, including changes to its products, in-store presentation, and omni-channel customer experience. It also aims to increase its operational efficiency. “We are pleased to be finishing the year with solid sales growth, both geographically and across product categories,” the executive added. “Most important, however, is to generate sustainable growth in sales, margins and earnings over the long term.” Sales for the full fiscal year increased 4% to $4.17 billion. Singapore Diamond Investment Exchange (SDiX) plans to start a new standardized form of precious stones as an alternative to gold bullion for those looking for a safe harbor to stash cash. 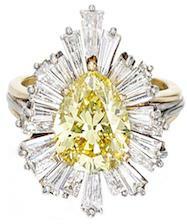 Diamonds are the world’s most concentrated form of wealth, according to industry experts. 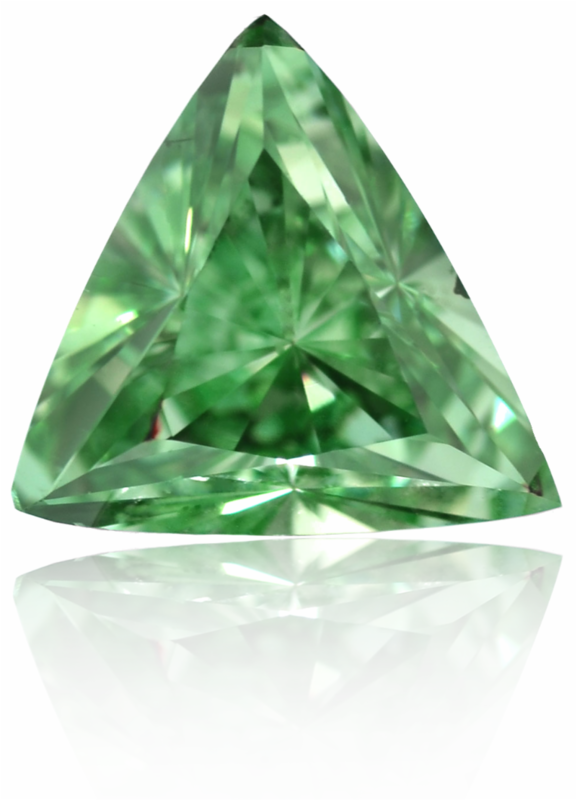 However, they are less standardized due to the wide variability in the gems’ cut, clarity, color, and carat. The exchange has solved the problem, expecting diamonds to become “the new gold,” according to Alain Vandenborre, chairman and founder of SDiX. “Until now, there was no way people could invest in diamonds in the form which is equivalent to investing in gold. A diamond has absolutely zero correlation with any other asset class, whether it’s commodities, bonds, equities. It’s a store of wealth, it’s a hedge against volatility, and you need that in your portfolio,” he said. 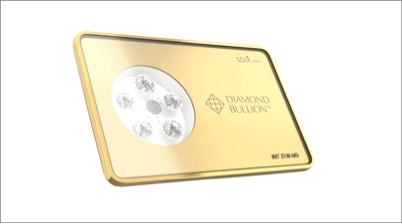 SDiX is offering a product called Diamond Bullion, which looks like a credit card-sized package of diamonds. Denominations of the sets will initially range between $100,000 and $200,000 with other denominations to be listed in the future. The cards, produced by the Singapore Diamond Mint Company (SDM), are designed to store and display a set of precious stones. The bullion is also equipped with a chip allowing immediate valuation based on exchange trading and instant authentication. The gems are sourced from the wholesale market through major producers Alrosa and De Beers. The stones must be in the top five levels of color and clarity, according to Vandenborre. The new product also has a mark, by the International Institute of Diamond Grading and Research. Traders are registered in the SDiX Electronic Central Depository with digital ledger services to become available through blockchain in the future. Sotheby’s April Hong Kong auction will feature more than $93.6 million-worth of jewels, among them a step-cut, 14.18-carat, fancy blue, VVS2-clarity diamond ring. That lot, with a surround of pink diamonds, carries an estimated price of $6 million to $7.7 million, the auction house said Tuesday. Also included at the event is a Van Cleef & Arpels gem-set and diamond bracelet valued at $845,000 to $1.1 million, and a 25-carat Burmese ruby and diamond ring priced between $10.5 million and $11.8 million. The auction will take place at the Hong Kong Convention and Exhibition Centre. Sotheby’s will offer the historic Farnese Blue diamond at its Geneva sale in May, the first time it has been on the market. 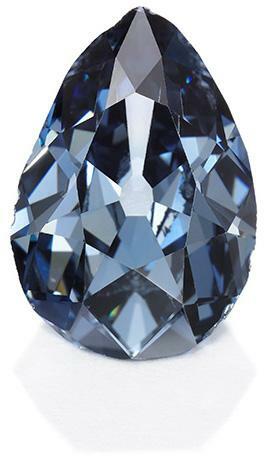 The pear-shaped, 6.16-carat, fancy dark grey-blue stone — originally given to Queen Elisabeth Farnese of Spain as a wedding gift following her marriage to King Philip V in 1714 — has spent 300 years in the private collection of Europe’s royal families. The diamond will go under the hammer at the Magnificent Jewels and Noble Jewels auction on May 15 with an estimated price of $3.7 million to $5.3 million. Originating in the Golconda mines of India, it has traveled from Spain to France, Italy and Austria over the last three centuries. The family kept the diamond in a secret royal casket, and, other than family members and the royal jewelers, no one knew of its existence. “With its incredible pedigree, the Farnese Blue ranks among the most important historic diamonds in the world,” said Philipp Herzog von Württemberg, chairman of Sotheby’s Europe and managing director of Sotheby’s Germany. Queen Elisabeth passed the Farnese Blue to her son Philip, duke of Parma, whose son Ferdinand inherited it and passed it to his son Louis I, king of Etruria. Louis’s grandson, Charles II, duke of Lucca, passed it to his grandson, Robert I, the last ruling duke of Parma, who took the stone from Italy to Austria. 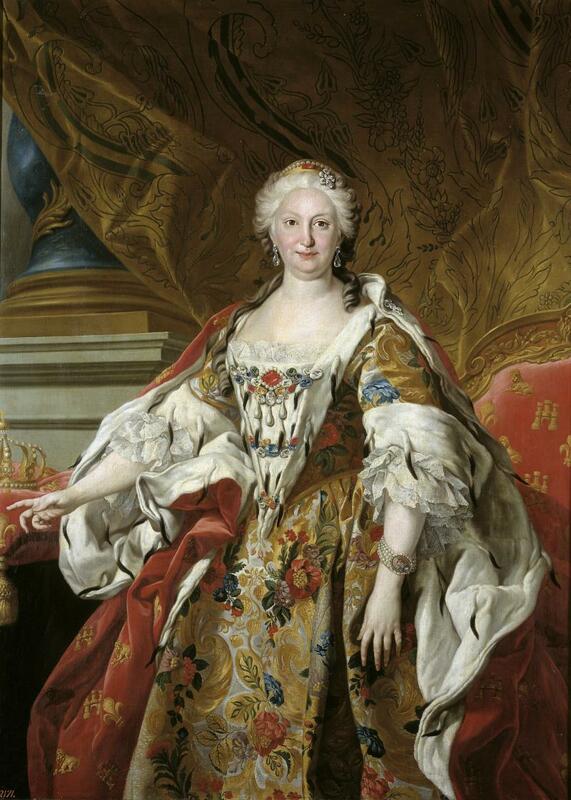 He then mounted the stone on a diadem that had belonged to his mother, Louise Marie Thérèse of Artois. Upon the death of Robert I, the stone passed to his son Elias of Bourbon, duke of Parma. His wife, Maria Anna von Habsburg — who died in 1940 — recorded the stone’s history. The Farnese Blue will appear at Sotheby’s in Hong Kong, London, New York, Singapore and Taipei, before coming to Geneva for display prior to the sale. Polished-diamond shipments out of India increased in January, according to data from the nation’s Gem & Jewellery Export Promotion Council (GJEPC). Polished exports climbed 29% year on year to $2.08 billion and, by volume, rose 20% to 2.7 million carats. The average price grew 7%. Polished imports dropped 21% to $136 million polished exports — the excess of exports over imports — surged 35% to $1.95 billion. Rough imports saw a 14% increase to $1.44 billion, while rough exports slid 29% to $105 million. Net rough imports soared 19% to $1.33 billion. The country’s net diamond account — the sum of rough and polished exports minus total imports — jumped 87% to $615.4 million. Polished-diamond imports to the US grew 3% to $1.81 billion in January, according to government data. US polished exports, meanwhile, jumped 22% to $1.52 billion, causing net polished imports — the excess of imports over exports — to slide 44% to $289 million. The information in this newsletter is for informational purposes only. The information contained in these quotes is believed to be from reliable sources. AIDC Advantage Corp. “the company” cannot be held liable for any misrepresentations on behalf of the sources we use. The company is not an investment advisor nor are they licensed to give investment advice. The company assumes that all buyers acquire colored diamonds for collectible and jewelry purposes as well as the long-term potential of the market. It is advised to contact a qualified advisor before entering into the colored diamond market. The company cannot guarantee that past performance of colored diamonds will continue in the future and that a colored diamond purchased from the company will provide a net gain. They are not as liquid as some collectibles. They are not necessarily appropriate for every individual. The quotes used only represent part of the article. For full viewing of any article, please contact your advisor. For more information, please refer to the terms & conditions in the AIDC Advantage website.